Our ministry school started in September 2011 serving those in the Santa Cruz area through in-depth training in the things Jesus did and commissioned us to do. By our third year, we were equipping 77 students from 27 different churches in the area, bringing major shifts in the region. We currently operate out of our church in Marina, California. It is our desire to see ministry schools, transformation centers and healing rooms enriching lives and communities throughout the world. ​In addition to the Marina school, we have several online schools equipping individuals, small groups and churches. Check us out at www.toltc.com. 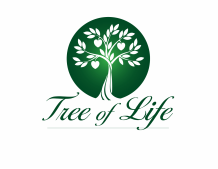 Tree of Life Ministry Schools meet on Thursday evening from 7 to 9pm. The Marina School is free to those attending Tree of Life Monterey Bay. For those attending other churches, there is a fee of $15/week.